Check out the following article on Jonathan Wade about 3D Pedagogy! The senior-level students in the Interior Design program printed the designs of their custom furniture class assignment on the 3D printer in the 3DU. The students’ assignment was to create a piece of custom designed furniture for their class studio project, which was a residential remodel of a historic house in Sylva. The students used the 3D printing process as a tool to develop their furniture designs. 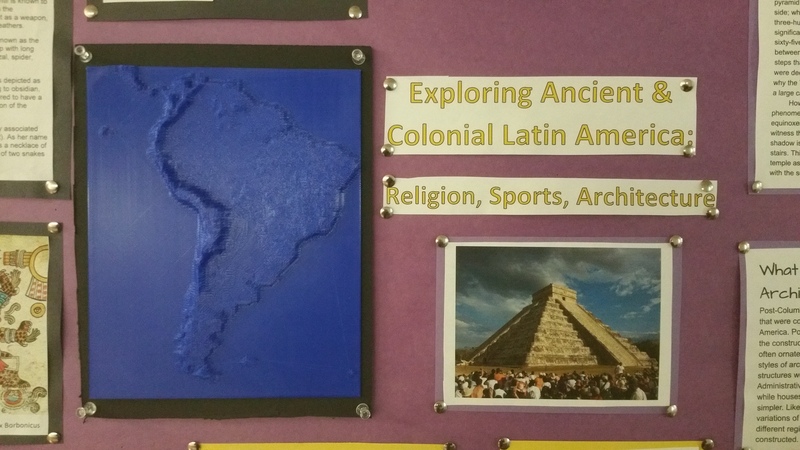 The 3D printing of their designs allowed the students to evaluate their design in three dimensionally. The students are currently incorporating these refinements into their designs, which they will be submitting to the Educational Foundation of the IFDA (International Furnishings and Design Association) Cliff Young LTD 2017 Contemporary-Modern Furniture Student Design Competition. 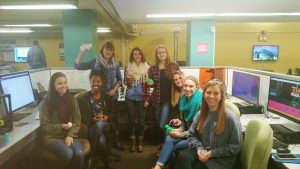 Check out this video by Meghan O’Sullivan exploring some of the different uses of the 3DU on the Campus! 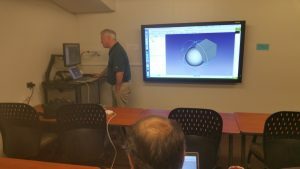 The 3DU has recently had the opportunity to partner with Hugh Jack and the Coulter Faculty Commons to bring 3D Modelling to faculty and staff of WCU. 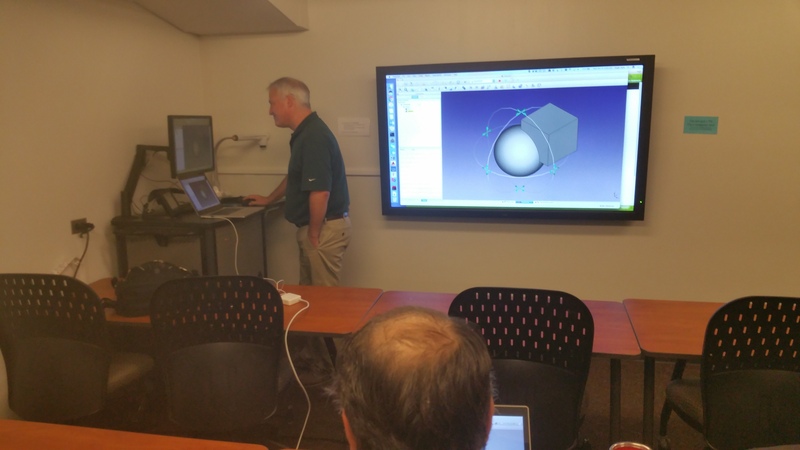 Dr. Hugh Jack, department head of Engineering and Technology, offered a two-session course in 3D Design through the Coulter Faculty Commons. 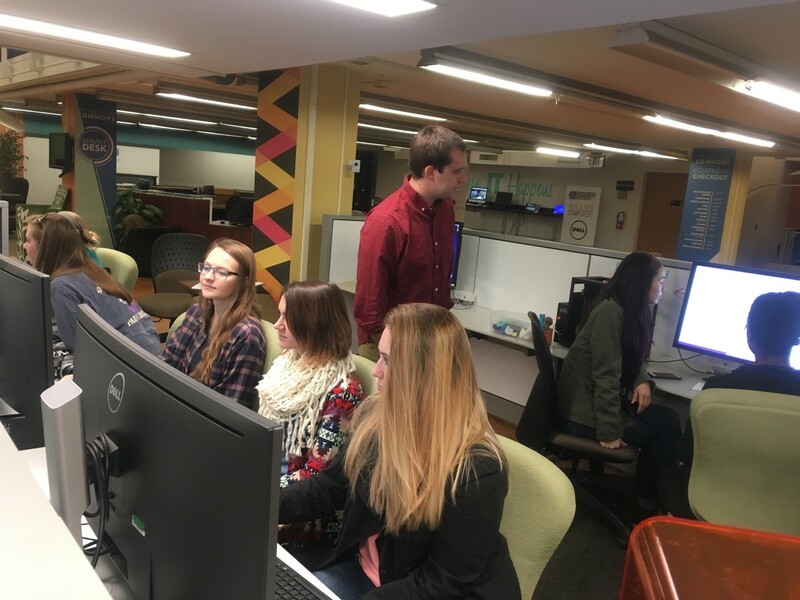 The course was held in the 3DU and gave faculty and staff the opportunity to learn how to setup and print items on a 3D Printer, and how to use design software to create 3D printable items. Session One of the course explained the basics of Cura, a 3D Slicing software, and how to setup and operate a Lulzbot mini 3D Printer. Participants had the experience of downloading, slicing, and printing a 3d model in the Technology Commons 3DU Makerspace. Session two focused on the basics of 3D Design using Google Sketchup. 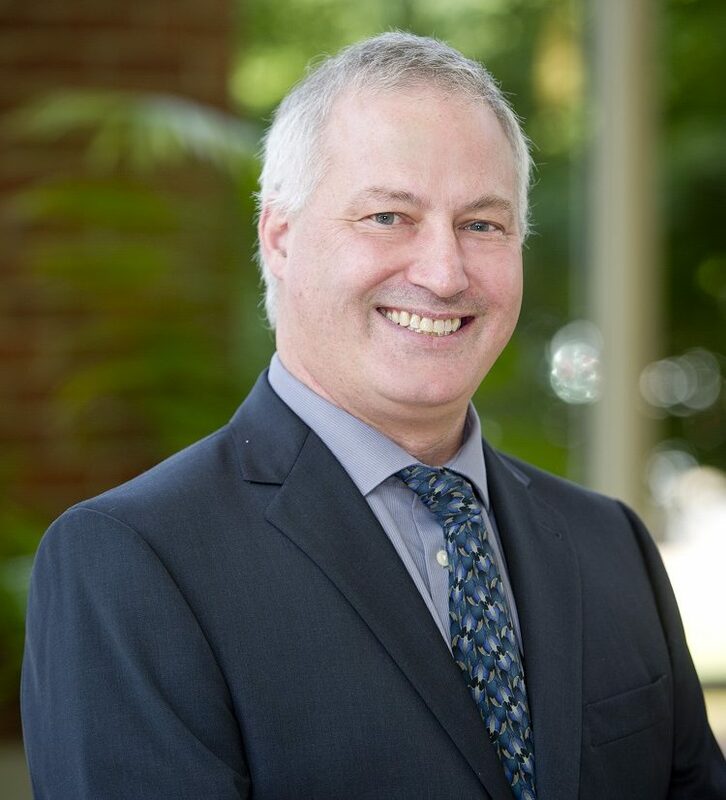 In this course, students learned how to design and prepare a model for 3D printing, as well as the basics of how to check the integrity of design for 3D Printing. As a special honors contract for her students, Ballofet partnered with Jonathan Wade from the Coulter Faculty Commons (CFC) to create a unique Latin American Cultural Exhibit. 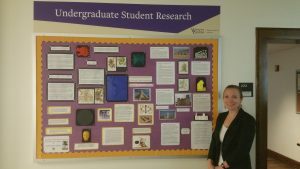 The CFC helped Dr. Ballofet obtain a grant to allow her honors students to create an interactive 3D Exhibit in the hall of McKee. Elizabeth Ianuzzi, Brookly Parham, and Greyson Rowlands selected open source models 3D Models of famous Latin American artifacts and created a 3D Billboard detailing the history and cultural significance of these objects. The billboard is open to all students and can be found right outside of McKee 225. If you or your class would like to bring 3D Printing into your discipline, please contact us at 3DU@email.wcu.edu.